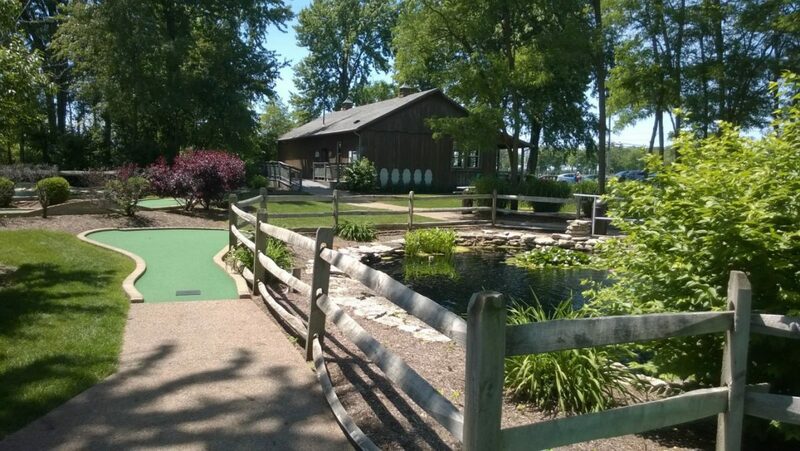 ﻿ Paradise Park Miniature Golf - Ohio. Find It Here. Miniature golf course located just south of Marion, OH. Built on three acres of scenic woodland, Paradise Park is the perfect place to escape for all ages. "This is such a nice beautiful setting. There is plenty of shade, fountains, and nature. You hear the bullfrogs, see lots of birds and chipmunks. The owner is very nice and keeps the place up. It is like playing putt putt through a mini forest."